I just hated the physical side of football. I hated running and I hated the gym. But give me a football and I’ll stay on the training pitch for five hours. The recently retired Paddy McCourt belonged to a different era, but we’re glad destiny picked this mismatched time for him. There are few comparable players remaining. You have probably been there. A few drinks among friends the night before a Sunday league match, your peers having now convinced you that it will be positively beneficial to consume a number of beverages prior to facing your local rivals the following morning. Thankfully, all inhibitions will have ceased to exist when kick-off comes mere hours later and you’re still feeling the full impact of the devil’s nectar. That’s because, with this artificially added confidence, you are about to have the game of your life. With the ball at your feet, you will embarrass all comers, big or small, quick and strong. 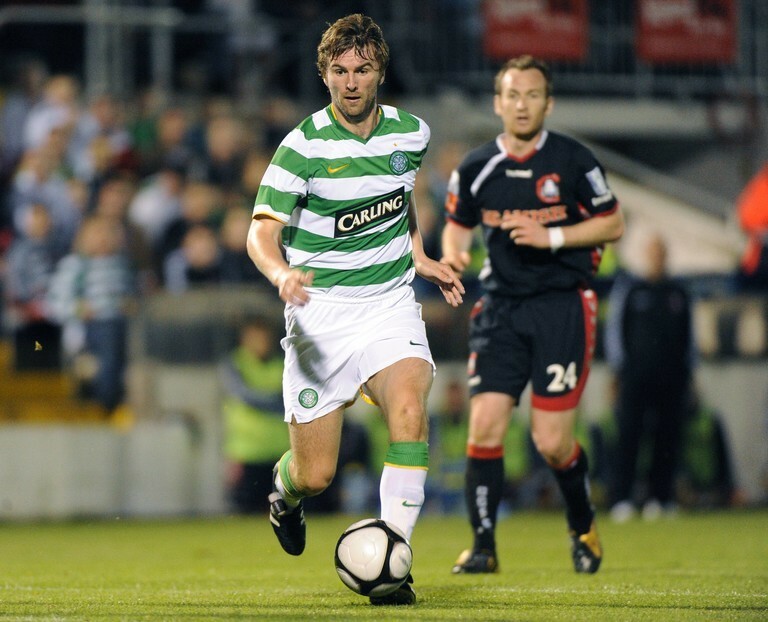 You are, in fact, going to play just like Paddy McCourt, AKA. the ‘Derry Pelé’. Then you wake up, realising the futility of attempting to replicate the style of such an inimitable footballer. When interested, McCourt played as if nobody was watching. But, of course, we were all glued. And what a sight it was at its best. He seldom scored for Celtic in his five years at the club but almost every goal was sufficient evidence to justify the otherworldliness of the man. Some of them would make Matthew Le Tissier blush they had such panache. It took McCourt over a year to register his inaugural strike for the Hoops but it was worth the delay. Picking it up inside his own half in a league cup tie, McCourt dribbled all the way to the Falkirk penalty area, evaded several challenges en route and slyly clipped the ball over the hapless goalkeeper. Just days later, McCourt notched his first in the league. The opposition and competition were different, but the process and result were extraordinarily similar. Five St. Mirren players were sent packing before McCourt finished from an outrageously tight angle, bringing back memories of another precocious talent from Northern Ireland. Smooth sailing it seemed for this sometimes-genius but the behind-the-scenes reality was starkly contrasting. 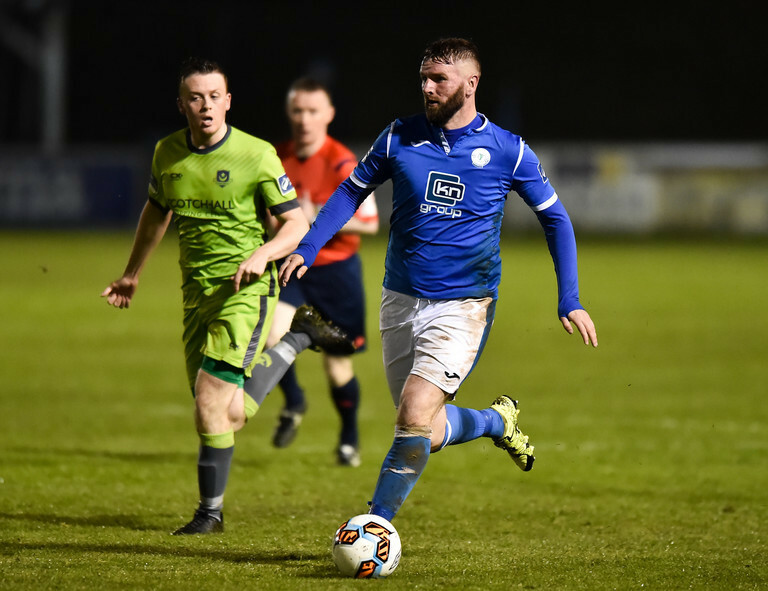 There was a reason it took McCourt over twelve months to get on the club’s scoresheet. He initially found training and the standard of fitness required extremely challenging, often exhausted after running warmup laps under the laborious regime of the suspicious Gordon Strachan. Perhaps this was unsurprising, considering McCourt had spent the last number of seasons back in Ireland after a false start in British football. Signing for Celtic in 2008 was a dream realised for the Derry native for two prominent reasons: they were his boyhood club and he thought he had blown his chances of a professional career after an ill-fated four-year spell at Rochdale had petered out three years previously. Although McCourt demonstrated flashes of his incredible gift at Rochdale, he showed an even greater love of the good life. Signed at just 17 from Foyle Harps, the teenager had boredom to kill a long way from home and temptation in abundance most weekdays after training. There was only going to be one winner in that particular battle of wills. Remarkably, McCourt was capped for the Northern Ireland senior side during this rollercoaster spell with Rochdale; a brief cameo off the bench in a friendly defeat to Spain. He would have to wait eight years to earn his second. It was time to go home and start again. Back he went, but a bit further south than usual as Roddy Collins’ Shamrock Rovers beckoned. For McCourt, it was six of the most enjoyable months of his young life. Living with like-minded teammates, the typical weekend consisted of a match on a Friday night and the rest of it free to let his hair down. McCourt had plenty of the curly stuff to hang low. Despite the hedonism, the tricky winger was a cut above the rest on the pitch and soon became a shiny asset for his financially-stricken club. Derry City nipped in for a cool £60,000 and McCourt would spend the next three years helping the Candystripes to three consecutive League of Ireland Cups as well as the 2006 FAI Cup. Admirers from abroad returned as McCourt dazzled, piquing such significant interest from West Bromwich Albion that he travelled to the Hawthorns ready to sign on the dotted line. He was just too bright to contain in his homeland. The Midlands was set to be his stage. That was until Celtic intervened and for just £200,000, the rest was history. His third strike for The Bhoys was no less spectacular, this time against St. Johnstone but cut from the same distinctive cloth as McCourt slalomed by a couple of defenders before unleashing the ball into the far corner. Next came a visit to Inverness Caledonian Thistle on the first day of the 2010/11 season, with McCourt’s decisive moment immediately tipped as a contender for goal of the season. The Inverness goal was significant. Aside from injuring his neck in the act of scoring to such an extent that it still bothers him to this day, McCourt had almost left his beloved Celtic that summer. A move to Blackpool, newly promoted to the Premier League, was mooted until manager Neil Lennon called McCourt into his office to announce some surprising news. He was to be offered a new contract. This appeared odd, seeing as McCourt had been ostracised from many first-team squads after Lennon replaced the sacked Tony Mowbray that March. It was all part of the plan, according to Lennon, who now had his dream job on a permanent basis and was ready to fully unleash McCourt on Scottish football. The tactic worked a treat. That season was undoubtedly McCourt’s finest in professional football, as he played the majority of Celtic’s league games (performing so admirably he briefly became linked with a move to Kenny Dalglish’s Liverpool) and finished the year by winning the Scottish Cup against Motherwell in the final. He would add another Scottish Cup and two league titles to his overall haul. For McCourt, though, a match that September was truly special. It was at home to Hearts and, as was by now customary, it was a typically beautiful McCourt moment as he notched his fifth goal for the club. He has regularly cited this as his personal career highlight. Why? It was the first time he had scored at Celtic Park. It is important to note the impact of each of these individually brilliant goals because McCourt failed to score at all for Celtic in his final two seasons at the club. His playing time became increasingly sporadic and, in total, he played just eighty-odd games and scored only ten goals in all competitions over those five seasons. He was the definition of a cult hero. A friend of mine holidayed in Ayia Napa during this period and was sitting at a largely vacated bar. Near him was a group of boisterous and intimidating Celtic fans from Glasgow. For self-preservation alone, he decided to introduce himself to the gang as a huge fan of McCourt, having seen him in person playing for Derry City years before. It was a risky move, but their eyes lit up and my friend was safe. McCourt was their passion. The Celtic dream ended in 2013, however, and a free transfer to Barnsley materialised. He stayed just one season and scored only twice, but a wonder goal against Middlesbrough at Oakwell was enough to leave a mark on the supporters – he had a knack for this talent. Eventually, McCourt made his way back to Irish football via short spells with Brighton & Hove Albion and Luton Town and would have been included in Northern Ireland’s Euro 2016 squad had his wife not fallen seriously ill. He finished his international career on just eighteen caps. The personal circumstance with his partner led to McCourt prematurely cutting his contract with Luton in order to return home. After initially joining part-time side Glenavon in County Armagh, McCourt signed for Finn Harps, where he ended his career as a deep-lying playmaker; a position that Tony Mowbray had briefly experimented in playing him during a pre-season tournament with Celtic years earlier. McCourt’s last involvement on the pitch (he is taking up a coaching role at Derry City) was in the recent promotion-relegation play-off against Limerick, in which he scored the only goal of the first leg from the penalty spot. Before the play-off, I had never played against him. I had only watched clips of him on YouTube for Celtic but the big hype before we played them was he was their main player with quality. And, no joke, when I played against him in midfield he was so calm on the ball and could pick a pass from anywhere if you gave him time. I’d nearly go as far as saying the YouTube videos didn’t do him justice, he was that good! He literally strolled up and slotted it (the penalty) in the bottom corner and then, for the rest of the game, some of the touches and passes were effortless. McCourt played the game like every youngster who first kicks a football imagines the way the sport will always be contested – with carefree abandon and fearlessness. The price paid for this ingrained nonchalance was a career littered with inconsistency and conditioning issues that makes his appeal to the football romantic so irresistible. History benefits risk-takers and football’s family only archives the truly memorable moments. 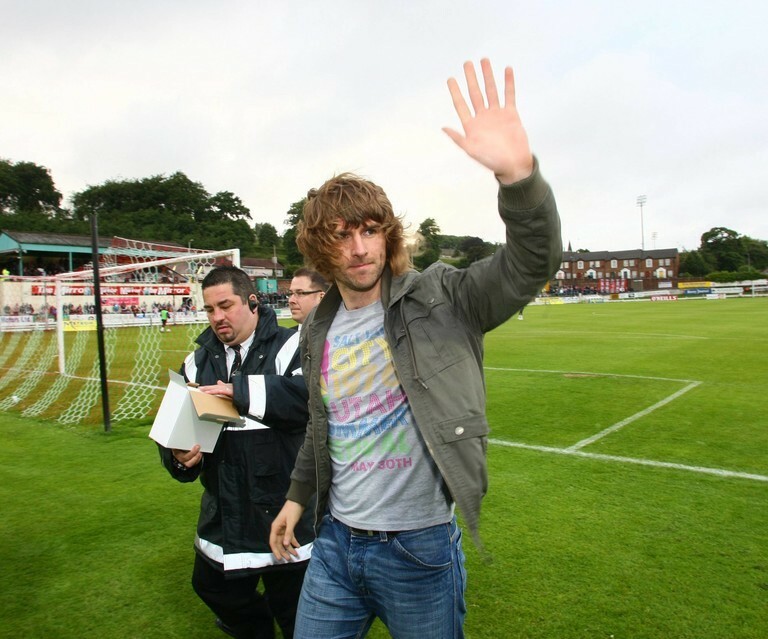 Paddy McCourt provided the escapism for his audience to stick around. A fan can ask for little more from the game than their imagination to be put in motion.